Rocket engine nozzles operate in extreme temperatures and pressures from the combustion process and are complex and expensive to manufacture. 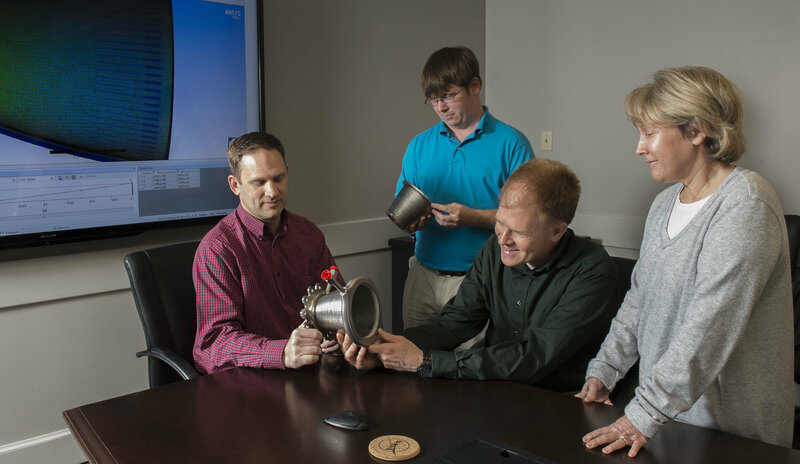 That is why a team of engineers at NASA’s Marshall Space Flight Center in Huntsville, Alabama, developed and proved out a new additive manufacturing technique for nozzle fabrication that can greatly reduce costs and development time. A new process called Laser Wire Direct Closeout (LWDC) was developed and advanced at NASA to build a less-expensive nozzle in significantly less time. LWDC is a different process than most 3-D printing technologies, which are powder-based and fabricated in layers. It uses a freeform-directed energy wire deposition process to fabricate material in place. This new NASA-patented technology has the potential to reduce build time from several months to several weeks. Nozzles may look simple from the outside, but they are very complex. The new LWDC method employs a wire-based additive manufacturing process to precisely close out the nozzle coolant channels, which contain the high pressure coolant fluid that protects the walls from the high temperatures a nozzle must withstand. Nozzles are actively cooled, or regeneratively cooled, meaning the propellant later used in the combustion cycle is routed through the nozzle to properly cool the walls so they do not overheat. To regeneratively cool the nozzles, a series of channels are fabricated within the nozzle, but then must be closed out, or sealed, to contain the high-pressure coolant. The new patented process using the LWDC technology closes out the coolant channels and forms a support jacket in place, reacting structural loads during engine operation. After Marshall co-developed and patented the LWDC process, Keystone Synergistic of Port St. Lucie, Florida, used the technology to fabricate and test a nozzle. 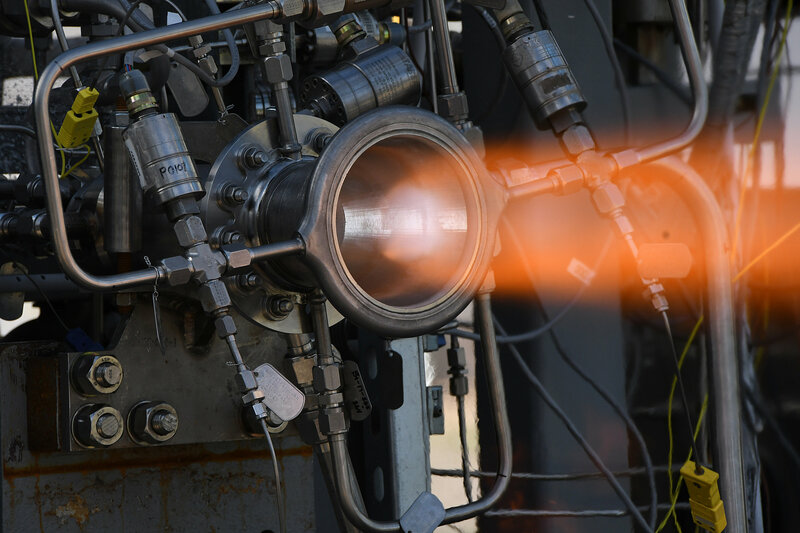 Through hot-fire testing at Marshall, engineers put this nozzle through its paces, accumulating more than 1,040 seconds at high combustion chamber pressures and temperatures. Now, this technology is being licensed and considered in commercial applications across the industry. The second technology tested as part of this campaign was an abrasive water jet milling process to form the coolant channels advanced by Ormond, LLC of Auburn, Washington, while a further technology developed was an arc-based deposition technology to additively manufacture the near net shape liner that would contain the water jet milled channels. All three technologies were developed through NASA’s Small Business Innovation Research program, working to bring together the agency with its industry partners to advance manufacturing. With projects such as these, Marshall is stimulating small business to maximize the return on America’s investment in space technology and exploration.